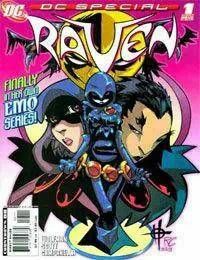 From Marv Wolfman, co-creator of Raven, and maverick penciller Damion Scott (Batgirl) comes a 5-issue miniseries delving into Ravens past and giving her a new life — but first she must survive the horrors of high school! Can the Titans empath endure the wave of teen angst at school, especially after someone begins killing students? Emotions are driven sky high thanks to the reappearance of the Psycho Pirates Medusa mask, and theres no way anyone can contain it once it has fallen into the wrong hands. Titans fans new and old dare not miss this one!